Although H.H. Holmes (real name Herman Webster Mudgett) was not America's first serial killer, as is commonly believed, he is certainly one of the most infamous. Born in Gilmanton, New Hampshire on May 16, 1861, Holmes was a bright boy with an interest in the macabre. During his teen years he was suspected of killing a playmate, although nothing was ever proven. When he did eventually graduate to a criminal career, it was as a fraudster and huckster of quack medicines. In among all that, he managed to earn a doctor's degree from the University of Michigan. Yet even with a medical degree in hand he continued to operate as a conman, defrauding several insurance companies in a series of life insurance scams. He also enjoyed seducing and manipulating gullible women. In July 1878, Holmes married Clara Lovering of Alton, New Hampshire, abandoning her nine years later to (bigamously) marry Myrta Belknap in Minneapolis, Minnesota, fathering a daughter by her. He married for a third time in January 1894, abandoning third wife, Georgiana Yoke, to take up with a lover, Julia Smythe, who he later murdered. Holmes most infamous crimes relate to the “Murder Castle” he built just before the World Fair in Chicago in 1893. This three story building stood opposite a pharmacy he operated on the corner of Wallace and 63rd Street, in the neighborhood of Englewood. He’d obtained the business by defrauding and murdering the owners. During the World Fair, Holmes opened up his “Castle” as a hotel, preferring female guests traveling alone. Little did they know of the sinister nature of the building. It was a maze of over one hundred windowless rooms, some of them soundproof, some with fittings to pipe in gas. There were chutes that terminated in the basement where Holmes had a lime pit and a furnace that was big enough to consume a human body. It is not known how many women Holmes tortured and murdered at his “Castle” but the evidence points to dozens. After the World Fair, Holmes left Chicago and continued committing insurance fraud. He eventually came to the attention of the authorities when he murdered an associate, Benjamin Pitezel, and kidnapped three of his children. 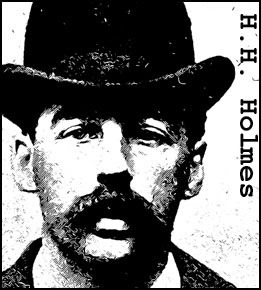 Holmes went on the lam with the children traveling across the midwest and into Canada.By the time he was eventually arrested in Boston, the children had been killed. 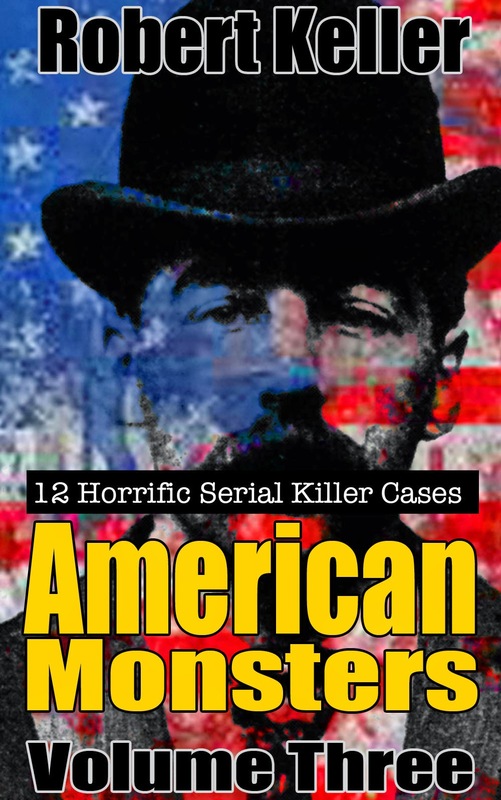 Read the barely believable story of Dr. H. H. Holmes, plus 11 more fascinating serial killer cases in American Monsters Volume 3. Available now on Amazon.